The Snow Leopard Leader is a leader known for being strong in all seven of the core leadership styles discussed in this series of posts. The previously discussed seven distinct styles of leadership have been proven to be effective when leaders seek to distinguish themselves, create buy-in, establish a following, achieve their goals and transform followers into leaders. 4. The Operational Leader - People follow them because they are expert at planning, execution, implementation and sustainment. 6. The Intrepid Leader - People follow them because they are fearless, resolute, courageous and willing to lead by example. 7. The Track-Record Leader - People follow them because they've already succeeded over and over again. For the most part, we have discussed these critical leadership styles in the context of individuals who possess strength in a single style of leadership. What we have not discussed is what happens when one leader possesses all seven of these leadership qualities, a rare occurrence of elite leadership we call the Snow Leopard Leader. To help create a comparative image and establish some level of perspective, the Snow Leopard Leader is the equivalent of a karate black belt, a Boston Symphony Orchestra violinist, a dancer in the Bolshoi Ballet, a player on the PGA tour, or any other elite performer. The Snow Leopard Leader is somebody who has achieved a level of excellence not commonly achieved by typical leaders or performers. The Snow Leopard Leader is somebody who has mastered the many skills required to achieve an elite level of performance in their chosen trade. It is critical to view leadership as proficiency in a series of skills and approaches and not just one single skill or approach. 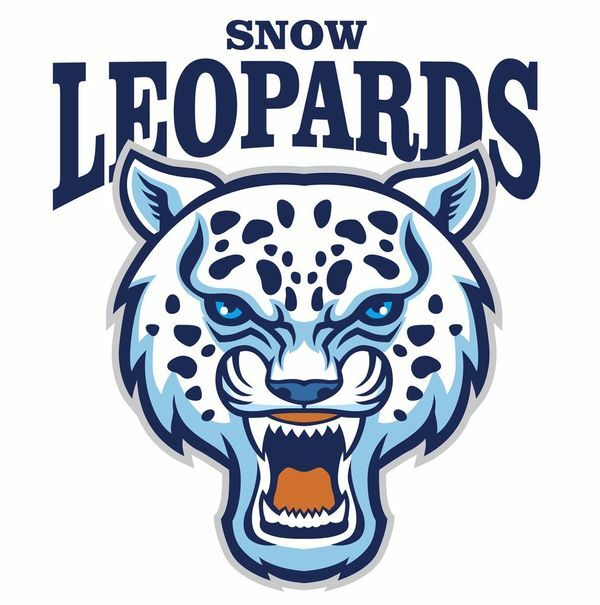 Essentially, we believe that the concept of the Snow Leopard Leader provides an incredibly pure and specific description/recipe for anyone who aspires to achieve a reputation for exceptionally effective leadership. Our objective when developing the Snow Leopard Leadership model was not to create a perfect formula for achieving this level, but rather to demystify the concept of leadership by breaking it down into the most essential elements and supporting skills. Our objective was to take leadership – a talent many consider to be intangible – and present it in a more scientific and taxonomic format. We do this by deconstructing the idea of leadership and organizing it into a series of key concepts, styles, elements, philosophies, skills, and approaches. We do not contend that there are no additional elements that will contribute to successful and effective leadership. We do not present this model as the perfect model of leadership. However, we do contend that elite leaders tend to possess some or all of these attributes. The more high-performing a leader tends to be, the closer they are to the pinnacle of leadership skill – the Snow Leopard Leader. Keep in mind that the specific knowledge and skills for each style of leadership will differ from profession to profession. For example, the specific attributes required to be considered a leader in golf or music will obviously be different from the attributes of a partner in a law firm or a financial advisor. There is certainly a great deal of core-trait overlap, but many of the more specific hard skills and knowledge are very different. There is also an important question to be asked about the crossover and connectivity of a leader’s personal and professional life. Many believe that it is important have a clear delineation between their personal styles and their professional styles, while others suggest that the two must be inextricably linked. Our informal studies and observations reveal that both approaches seem to be effective. Many great leaders have suggested that in their professional life they might certainly take on the role of Operational Leader, but in their personal life they tend to take a much more laid back and "go-with-the-flow" approach. They suggest this as a way to help them maintain a strong work-life balance. There are certainly many ways to construct an effective leadership approach, and there are many unique variables to consider. With this in mind, it is important to remember that the implementation of a leadership approach or strategy must be personalized for each individual. Each leader must take the core elements and craft their own personal leadership model. It is similar to the example of building a house. When building a house, it is important to always have a strong foundation, frame, roof, and walls. Yet beyond these requirements, the homeowner also puts their own personal signature on their home by choosing their own decorative style. The seven leadership styles and the profile of the Snow Leopard Leader can provide the foundation or the frame of a leader’s strategy but their own personal style must have great influence to ensure the strategy works best for them as an individual. A big mistake to be conscious of as you prepare to embark on a personal quest to achieve Snow Leopard Leader status is not protecting your track record along the way. We cannot stress enough how important it is to continue to develop a strong and sustainable track record in each of the seven core areas. Looking back over the past two decades, we have seen many instances where certain professionals (including corporate CEOs) created short-term track records that were not actually real and sustainable. Like a home set on a weak foundation, they eventually began to crumble as the weight of their claims and the shortcuts they took began to cave in on them. A track record must be real and sustainable. There are no shortcuts and there is no place for fabrication. What would happen if all of my leaders subscribed to the Snow Leopard Leader philosophy? What would happen if my leaders excelled in all seven leadership styles? What would happen to our culture? What would happen to our team? What would happen to our employees? What would happen to our clients and customers? What would happen to our products? What would happen to our brand? What would happen to our stock price? What would happen to our competitiveness? What would happen to our track record? These are just a few basic questions to consider, but we think the answers to these basic questions will be powerful enough for any organization to see the benefit of a structured, effective leadership program. The diversity that is the Internet may be epitomized by few people in history — Benjamin Franklin is one such person, commercially successful, ever concerned and involved with the public good, a great communicator, and a remarkable man of science and technology, finding practical effective solutions to real problems. Trying to comprehend Benjamin Franklin’s life and legacy is like trying to grab a shadow. Each time one tries to get a fix on the reflection, it darts away and grows even larger. By turns pamphleteer, apprentice, printer, balladeer, inventor, philosopher, politician, soldier, firefighter, ambassador, family man, sage, delegate, signer, shopkeeper, bookseller, cartoonist, grandfather, anti-slavery agitator, Mason, and deist — he was all of the above and none of the above. His great biographer Carl Van Doren called Franklin “a harmonious human multitude.” As Franklin was an "electrician" also, we kept looking for a common current that defined him. From the time he was a teenager thinking about ways of education to the time he was an 83-year-old man agitating for abolition, the mainspring of the “human multitude” may well have been public service. Philosophy: Become a leader of leaders and posses a high level of leadership skill across all seven core leadership styles. Seek to become the Snow Leopard Leader. Mistakes to Avoid: Not seeking opportunities to develop skills in the leadership styles you consider to be outside of your primary comfort zone. Not stretching to develop new talents and expand your leadership capabilities. The stretch from the comfort zone is a key component of the leadership development process. Best Practices: Identify your strengths and weaknesses and also identify specific needs where leadership skill gaps exist. Determine key strategies for development and also set a schedule to ensure you implement. Continue to evaluate and re-evaluate your performance in each of the seven leadership styles. Employ a self-assessment discipline by employing a 1-to-10 scale to your performance in each of the 7 styles. What am I doing to improve my Ethos Leadership skills? What am I doing to improve my Knowledge Leadership skills? What am I doing to improve my Vision Leadership skills? What am I doing to improve my Operational Leadership skills? What am I doing to improve my Emotional Leadership skills? What am I doing to improve my Intrepid Leadership skills? What am I doing to improve my Track-Record Leadership skills? Who is my benchmark of a Snow Leopard Leader that I admire and why? What are some of the key mistakes I need to make sure I do not make as I pursuer this goal?